Once again, students are going crazy for First Nations Development Institute’s “Crazy Cash City” workshop. 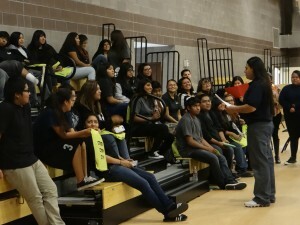 In December 2014, 84 high school students from the Gila River Indian Community in Arizona participated in a “Crazy Cash City” financial education simulation in which students navigated a series of simulated financial tasks and challenges designed to teach basic budgeting and banking skills. The goal was for them to successfully balance their personal budgets through a simulated month of spending. First Nations Development Institute (First Nations) staff conducted three two-hour reality fairs at the Gila River Indian Community’s new multipurpose building in Chandler, Arizona. 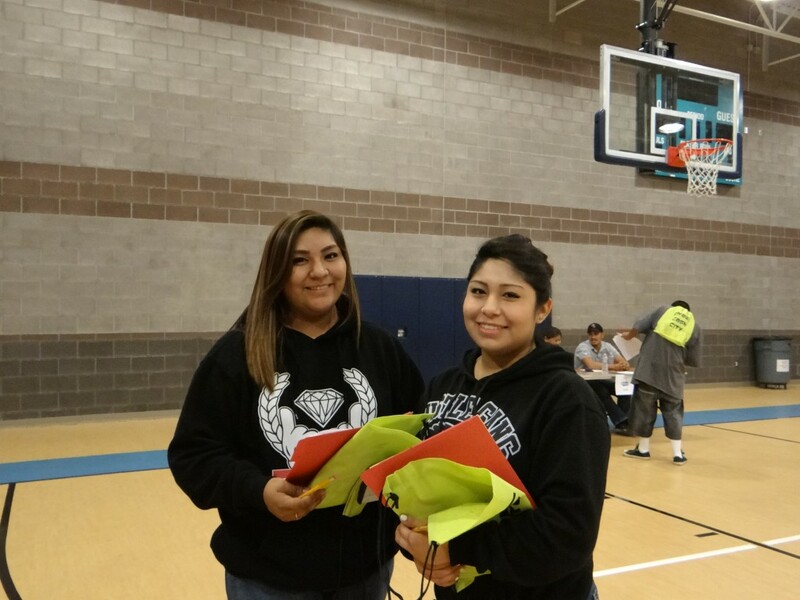 The event was organized through a collaboration of First Nations and the Pima Leasing & Financing Corporation (PLFC), which is community development financial institution organized by the Gila River Indian Community Council. The mission of PLCF is to promote self-sufficiency and economic development by providing financing and business development services for community members. PLFC sponsored the workshop to promote financial skills development for local youth. 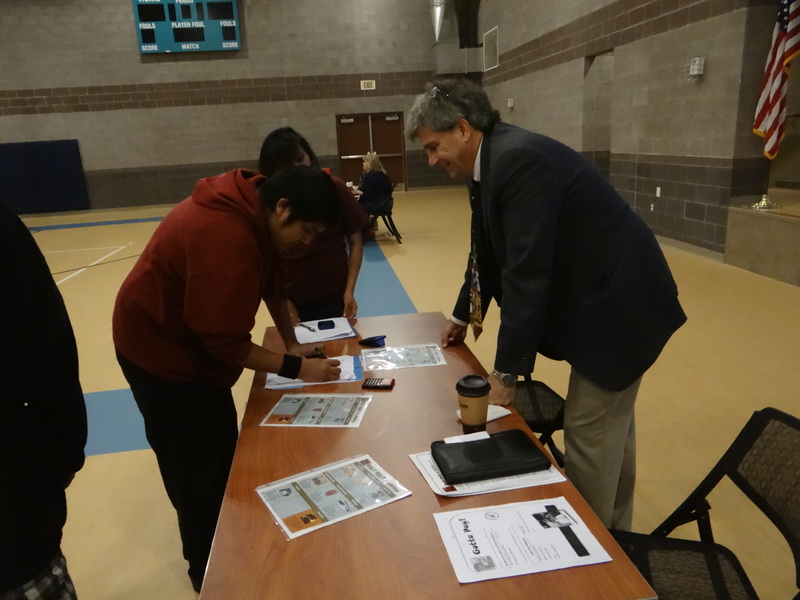 The workshop was a success thanks to volunteer support provided by the Office of the Special Trustee for American Indians – Gila River Agency, and numerous Gila River tribal programs and partners. Funding for the workshop was provided in part by the FINRA Investor Education Foundation. The event was presented as an exciting, hands-on financial simulation for the students – since they were spending play money and not really buying things – but it was also informative, educational and highly interactive. 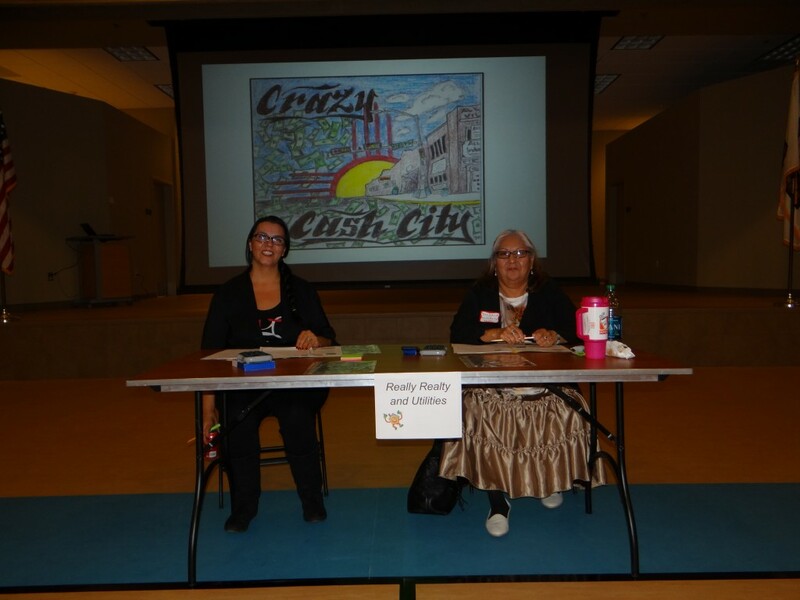 The “Crazy Cash City” workshop is based on experiential learning principles – the belief that youth learn by doing, which research suggests is more effective than lecture-format workshops. “Crazy Cash City” students were all given a folder containing a fictitious yet culturally appropriate family profile that listed an occupation, income, spousal and dependent information, and any outstanding debt or benefits, along with a debit card and budget-balancing sheet. The high school students then visited nine merchant booths that provided various choices for housing, transportation, child care and more, and they were asked to make smart financial decisions based on their family profile. “Fickle Finger of Fate” cards were also given to students to help them learn to plan for unexpected emergencies and opportunities that can arise in day-to-day life. The youth also were presented with examples of financial and investor fraud so they could learn when an offer might be too good to be true. The main goal of “Crazy Cash City” is to give high school students the opportunity to practice good spending and budgeting habits prior to entering the real world after graduation, as well as to promote smart and informed decision-making skills that will last a lifetime. Learning how to manage finances ensures that Native people will be more likely to save and to challenge financial service providers to develop products that respond to their particular needs. These dynamic, interactive simulation workshops allow students to try out the skills they are learning and gain confidence when managing their money. We concur young man. We concur!